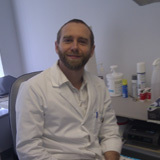 Giles qualified in 1997 from The University of Huddersfield with an honours degree in Podiatry. Since then he has worked in both the NHS and private practice. He is a member of The Society of Chiropodists and Podiatrists and is registered with The Health ProfessionsCouncil (formally known as State Registration).